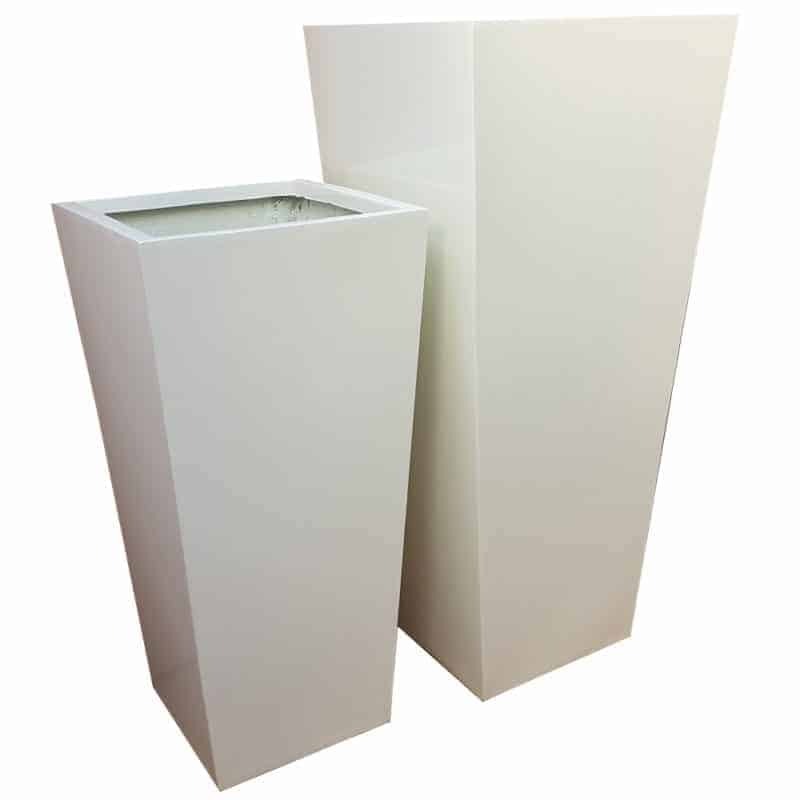 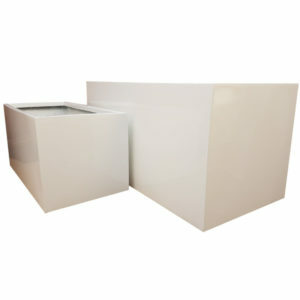 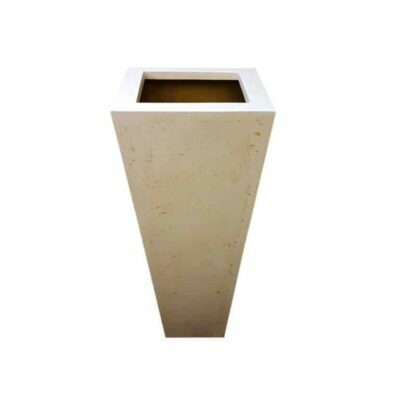 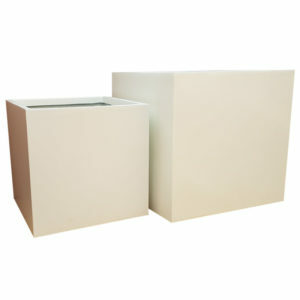 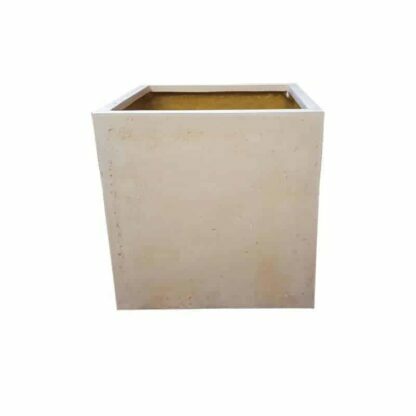 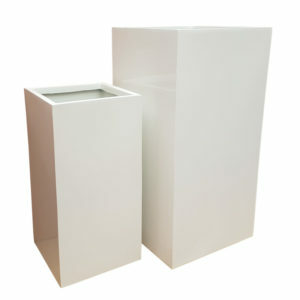 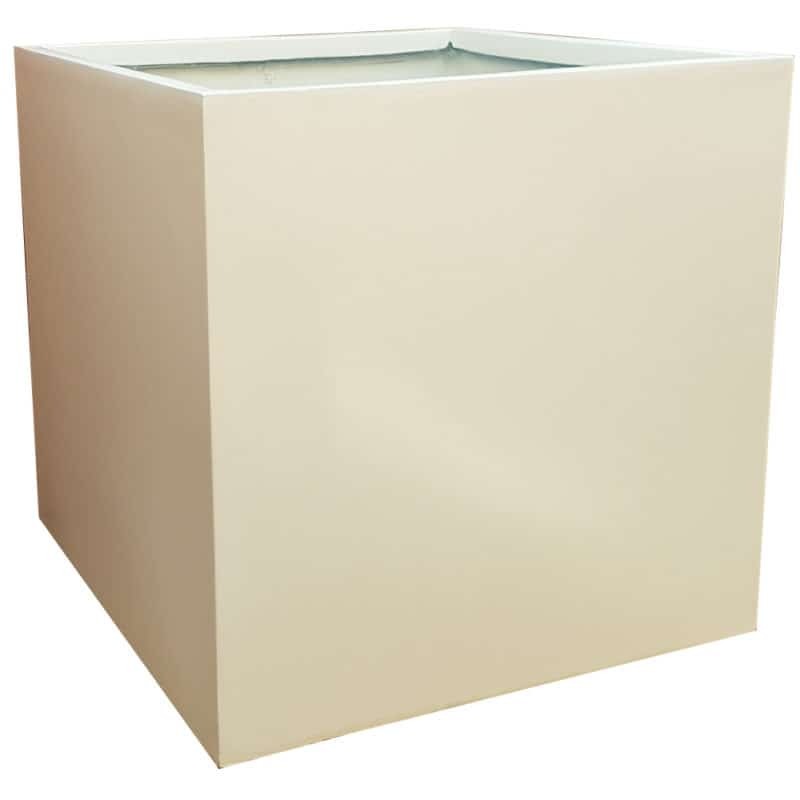 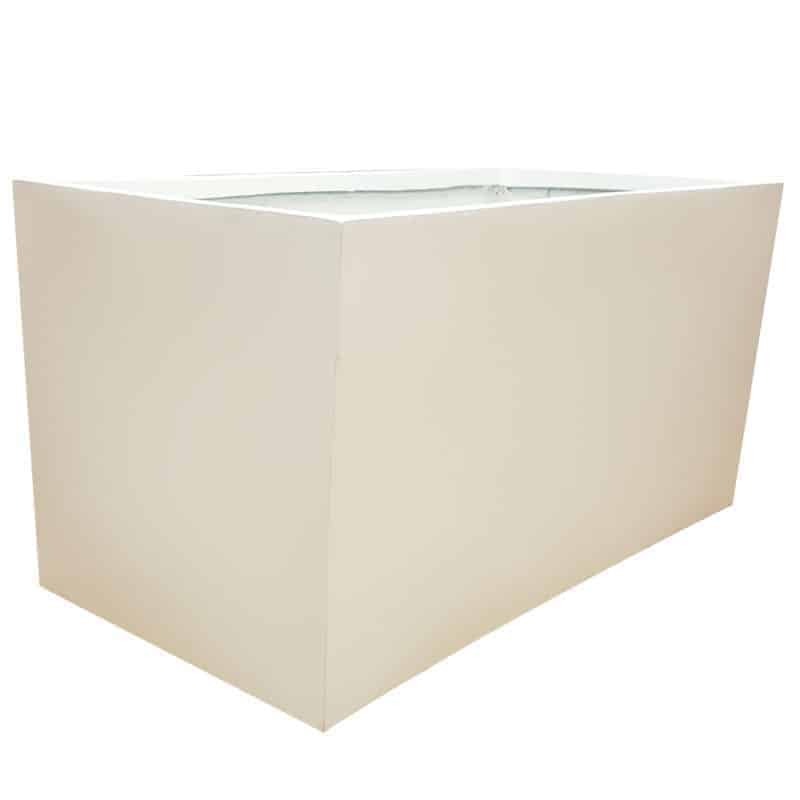 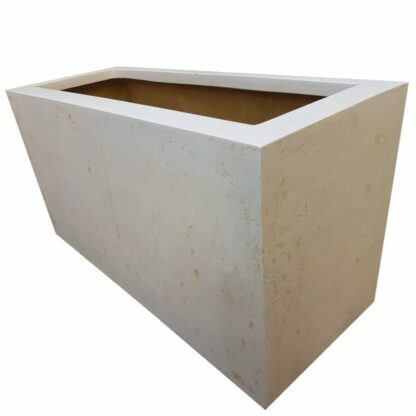 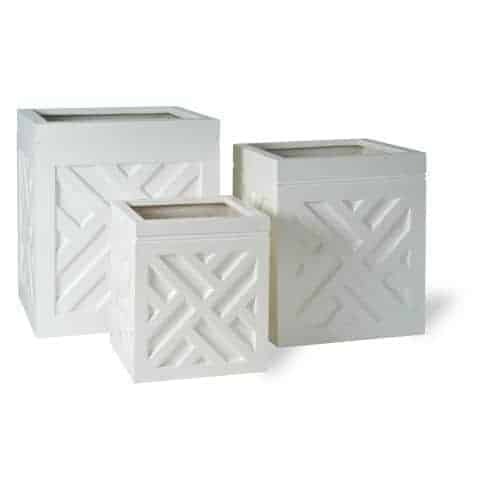 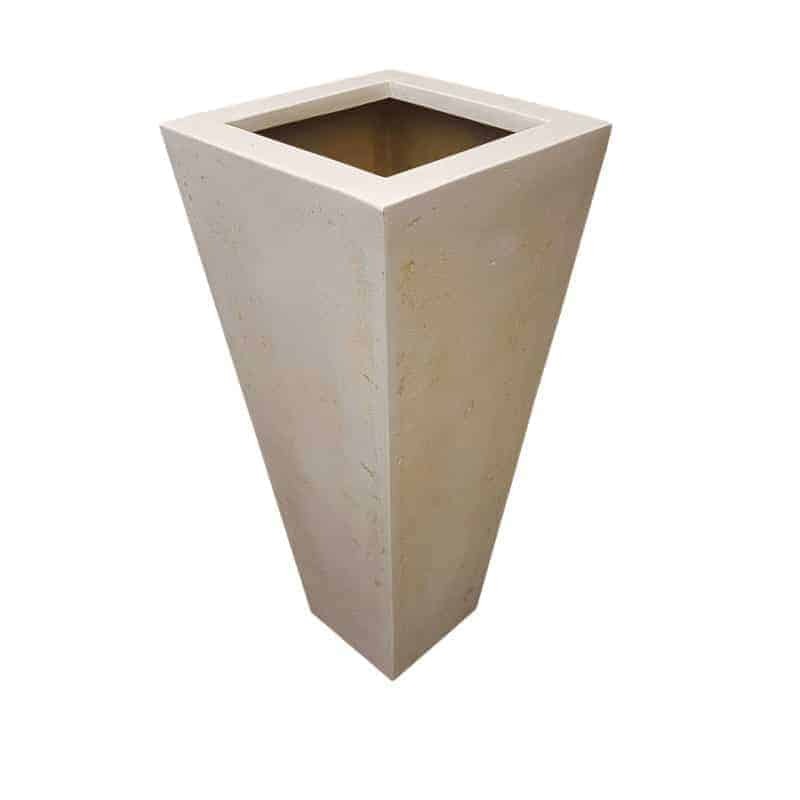 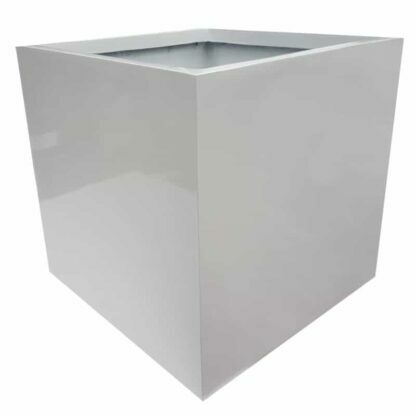 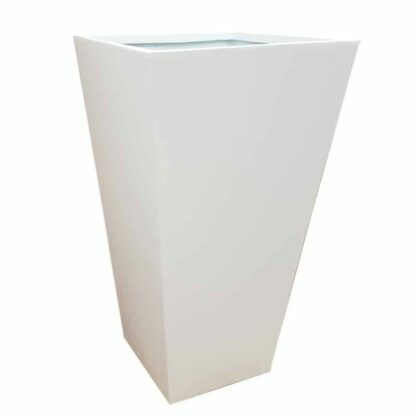 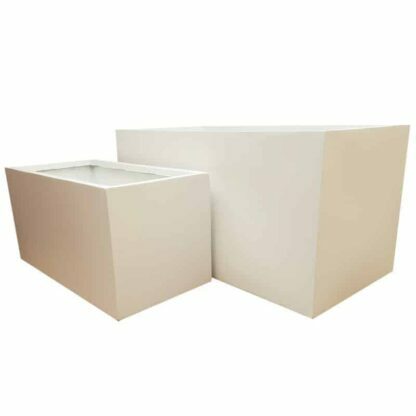 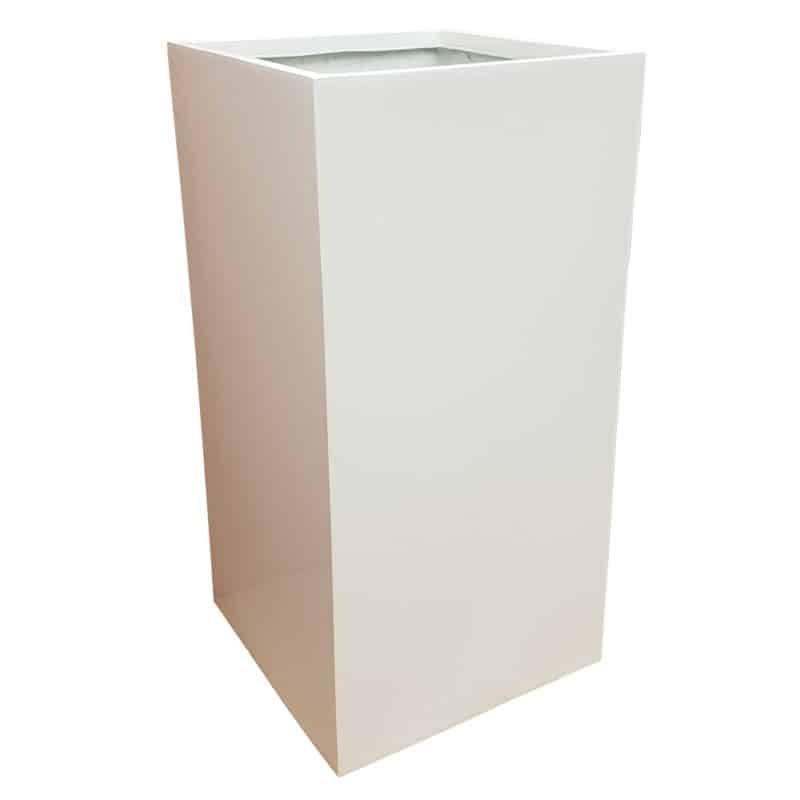 Keeping up with interior trends, Floraselect have a quality range of white garden planters to browse and purchase. 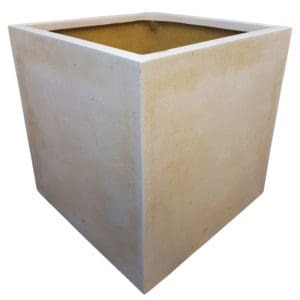 We have in stock a variety of cubed, window or round planters in a selection of sizes starting at just £29.99. 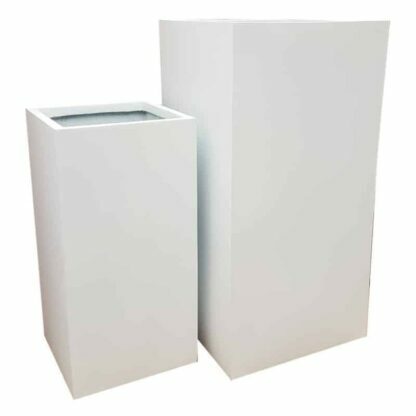 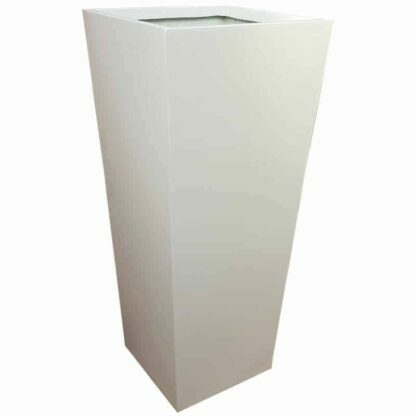 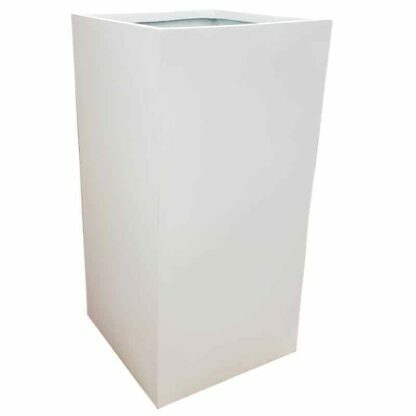 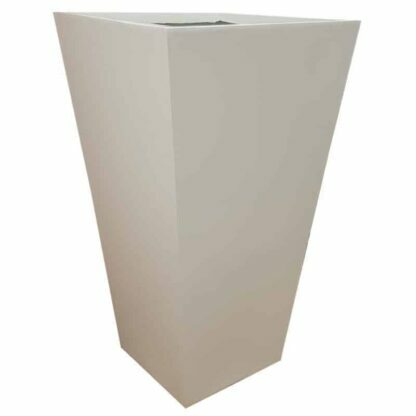 Our white planters come in different materials, all with high-quality finishes, matte and gloss including; Polystone, Fibreglass and Zinc. 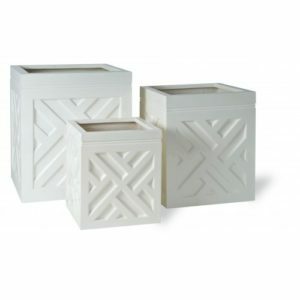 The white colour adds an element of light into the garden or home. 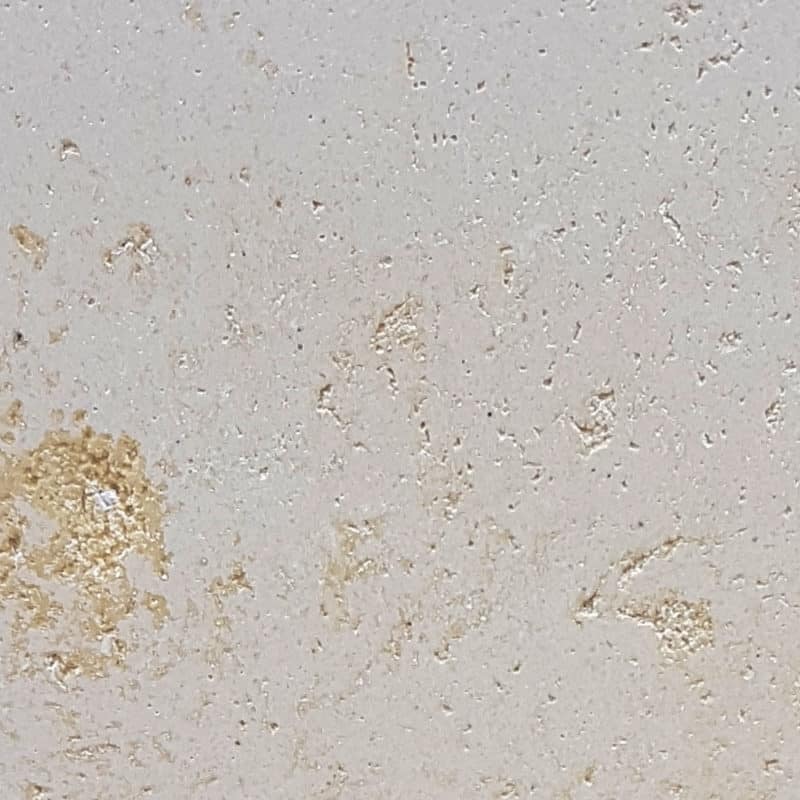 White planters are some of the popular for indoor use because of this. 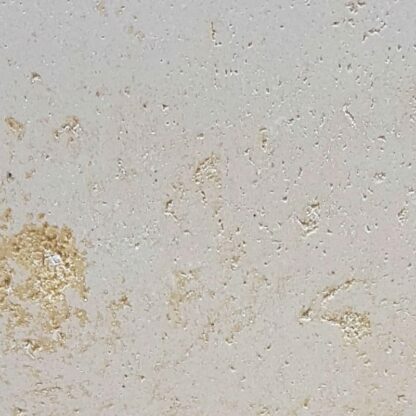 They can brighten a room, giving the impression that it is larger and more airy. 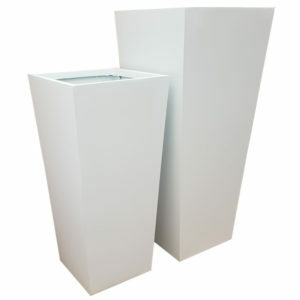 They fit well in commercial spaces such as hotels, restaurants and apartment lobbies, as well as residential spaces. Bright, vibrate coloured plants are enhanced with the white background of the planter. 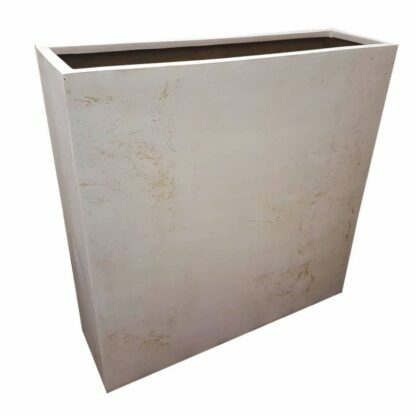 They compliment the greens of the garden as well as blue hues from water environments such as ponds and water features. 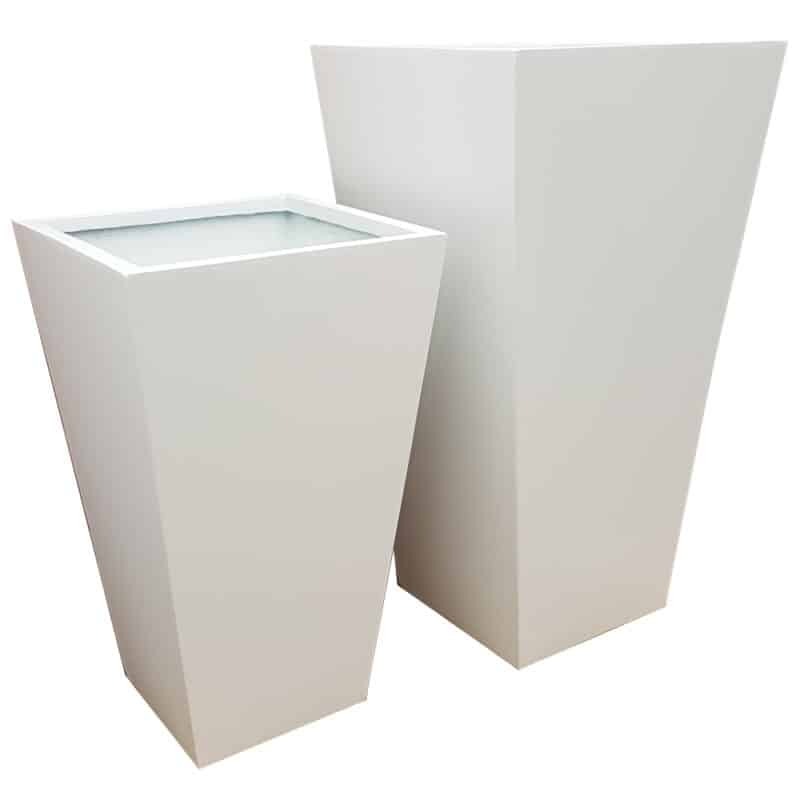 While standard tower planters are ideal for more conservative or traditional design schemes, when you are looking for structural lines in your home or outdoor space that aren’t either horizontal or vertical, flared or tapered towers might be the way to go. 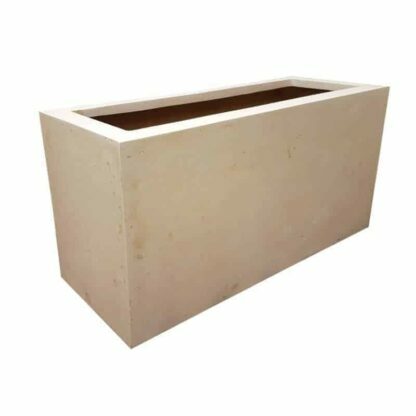 This planter is perhaps ideally suited for modern residential developments, luxury hotels or office complexes that are looking to make an impression. 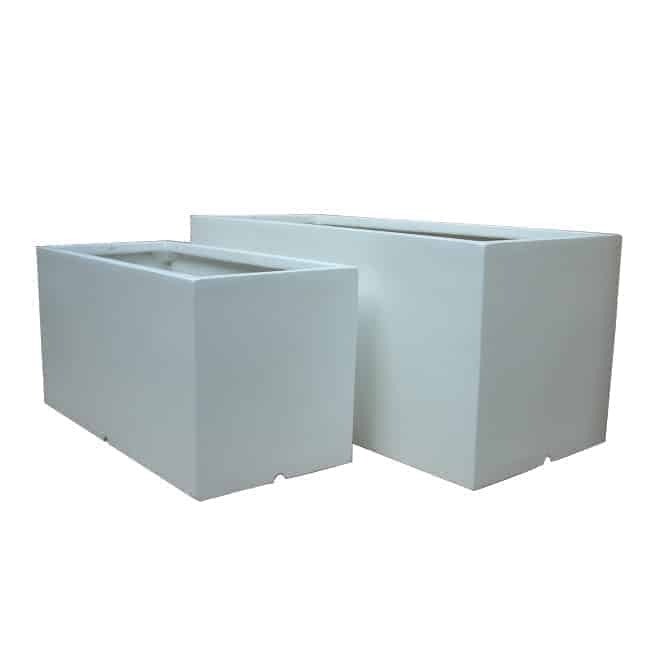 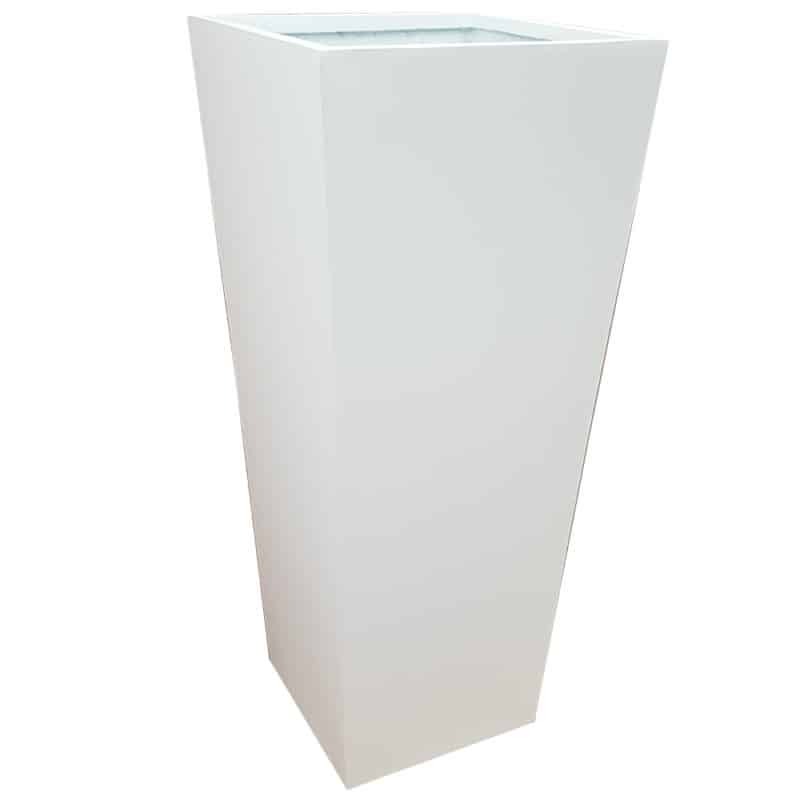 The glossy white fibreglass planter is part of our contemporary fibreglass planters range. 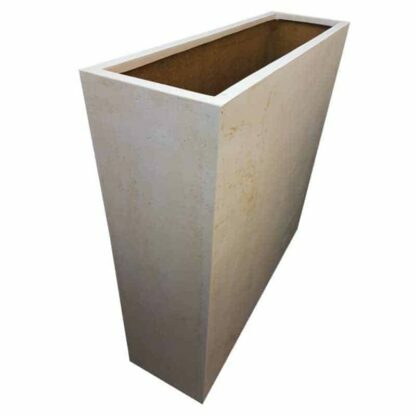 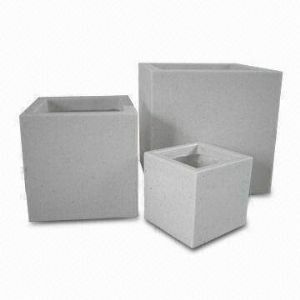 The material for these planters has been selected specifically for the particular qualities it has that makes it not only a viable, but a superior modern building material.